This is our new way out wicker. There are a lot of second-hand stores in our area of Connecticut. Many are pretty high-end, with beautiful antique furniture, china, crystal of all shapes and sizes and outdoor furniture. Granted, there is a lot of junk in some of these stores but if you keep an eye out on the merchandise, you can find some good deals. 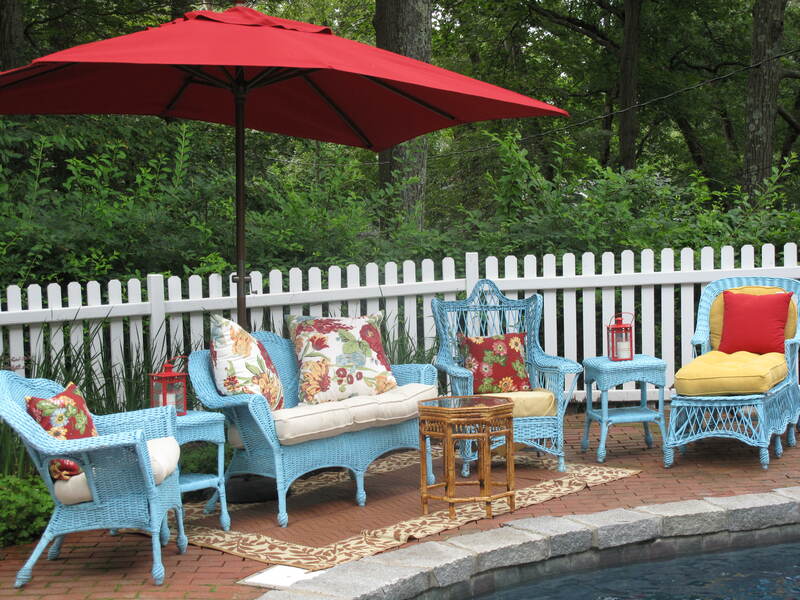 That’s the case with our new funky wicker set. Who knew you could find real wicker in turquoise? So when we saw the furniture we knew we had to have it. We bought the pillows and cushions to match at a local home store shop and we were ready to go. The set fit perfectly at the South end of the pool where it resides now. It’s a perfect way to relax after a long day at work and enjoy a glass of wine or dinner. We know that we will be spending a lot of hours here this Summer. 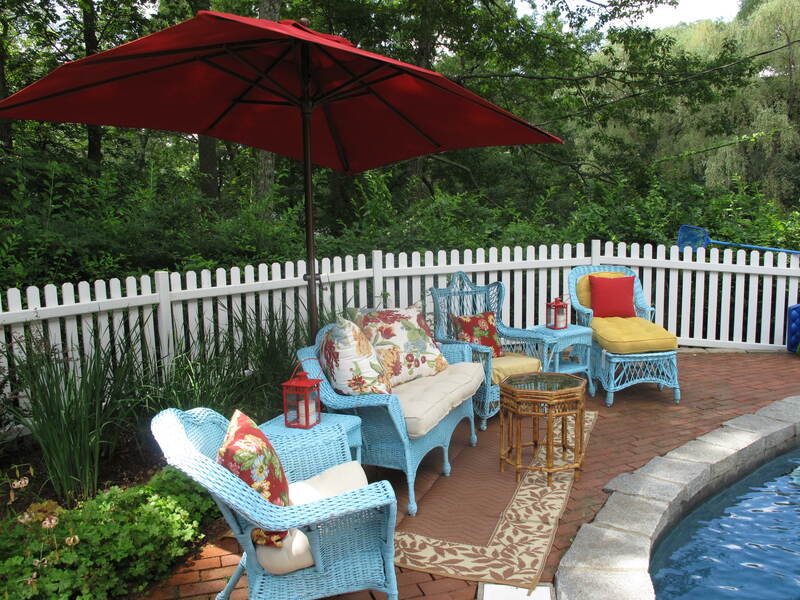 Do you know a special drink that is colored turquoise to match our wicker set that we can drink all Summer? This entry was posted in Life and tagged Acorns, Beauty, Blog, Cocktails, Family, Food, Fun, Life, Lifestyle, Love, My Life, Photos, Summer, Thoughts. Bookmark the permalink. I like the blue theme. Linda over at Savoring Every Bite (on wordpress) had blue jello shots that looked good. Seriously! Hi Rufus’. I’ll have to go check it out. Happy 4th and come back and visit soon.